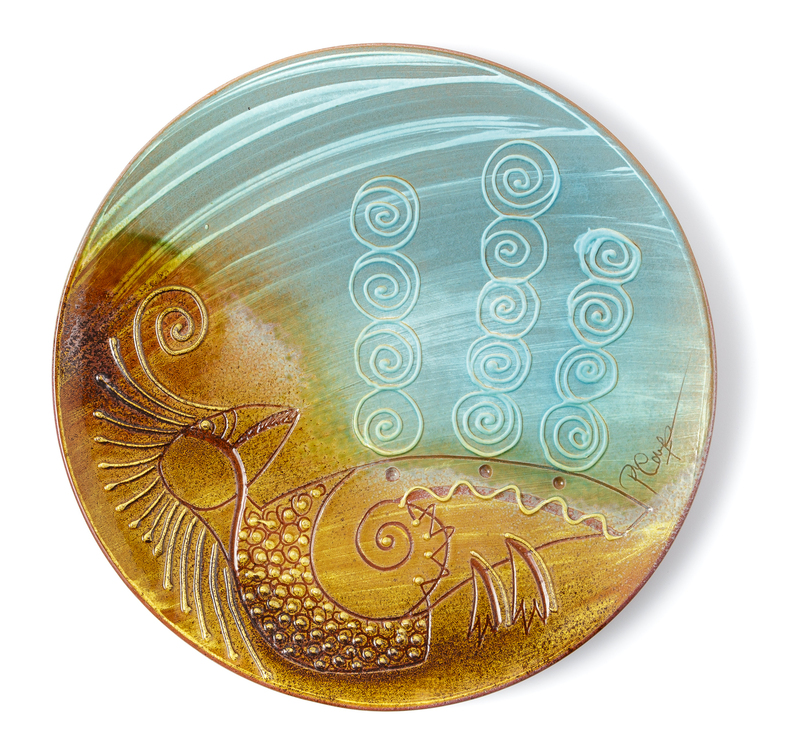 The rich decoration of this large plate is a personal reinterpretation of descriptive symbolic elements with a strong link with Sardinian identity, history and culture. 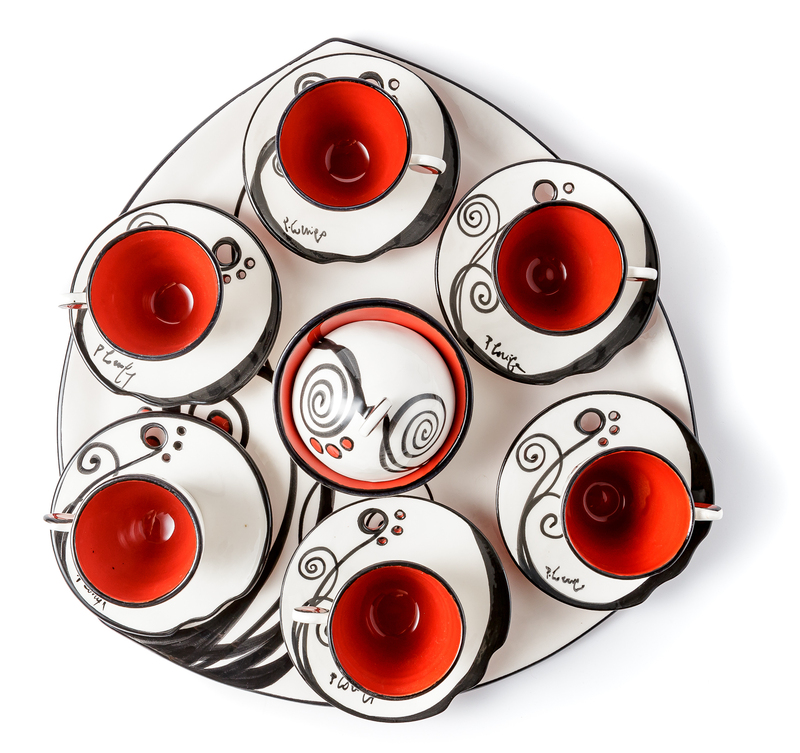 Handcrafted ceramic coffee set of coffee cups, sugar bowl and tray with original, wavy lines and cheerful paint brushed decoration in black against a white background. 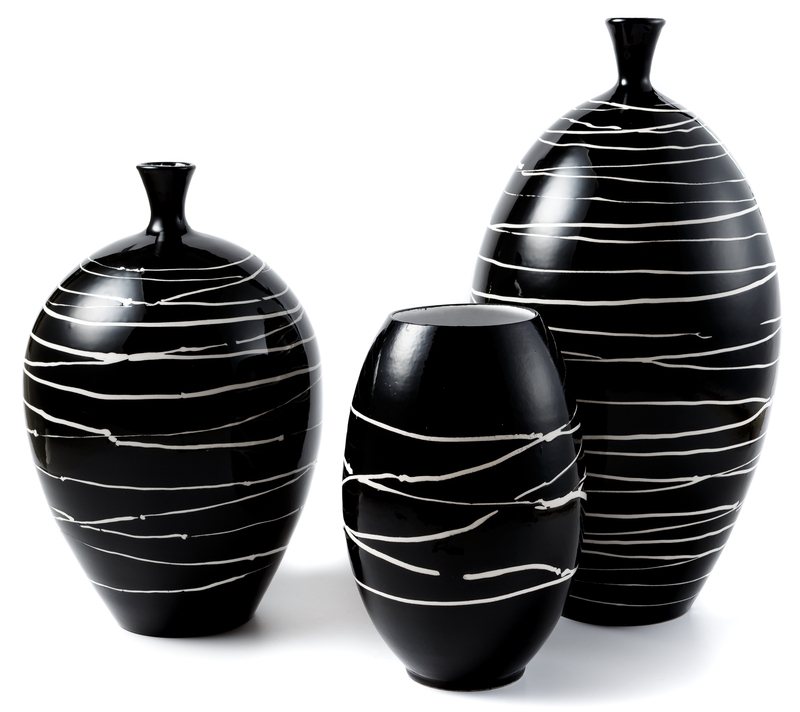 These large elegant vases are expertly lathe shaped in essential lines with harmonious neat black and white decorations. 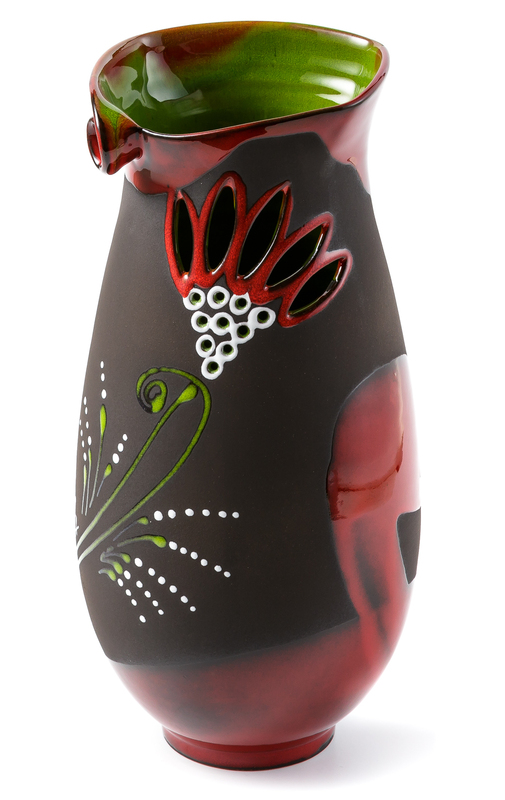 They are part of the Luce e Buio line which counts various coordinated home décor accessories. Pina Corriga’s imaginative and elegant ceramic production stands out for the wide range of lines which explore different styles and tradition in order to attain sophisticated plastic effects combined with the use of colours on precise chromatic scales. After studying at the School of Art in Oristano, she undertook her professional career setting up her first workshop in 1999 in the small town of Simaxis, where she produced tableware and home décor accessories which reinterpret in a decisive and contemporary key the inspirations taken from the Sardinian culture. Five years later she moved her workshop to Solarussa, a small town in the province of Oristano, where in an evocative natural environment, she set up her casa e bottega (home and workshop), enlarging and improving the professional spaces and equipment significantly. The experience gained over time has further defined her stylistic identity, always recognisable in the expressive modalities of formal and decorative research. Her inspiration renews itself with every creation. She promotes her prized artefacts in stores specialised in quality craftsmanship in the main cities and tourist centres across the island. She participates in the handicraft fair events in Sardinia, as well as in a diversified range of national and international exhibitions and fairs. Pina Corriga’s production counts various lines of tableware and home décor accessories with a distinctive style that combines original shapes with elegant glazing with graphic paintbrush additions. The newly conceived Mariposa line, in white enamel with light lines, curls and fretwork, is inspired by the elegant charm of butterflies, whilst the Istimentos line, combining matt black surfaces with boldly coloured enamels and distinctive fret worked decorations, draws on the rich Sardinian collection of traditional costumes for women. Other collections such as Luce e buio, Pidighe, the Etnica line and the Spirale line represent the original and well-established production of this ever-evolving ceramist. This craftswoman mainly employs lathe shaping and plate shaping. She decorates her artefacts through manual additions such as fretwork, cutting, folding and inserts. 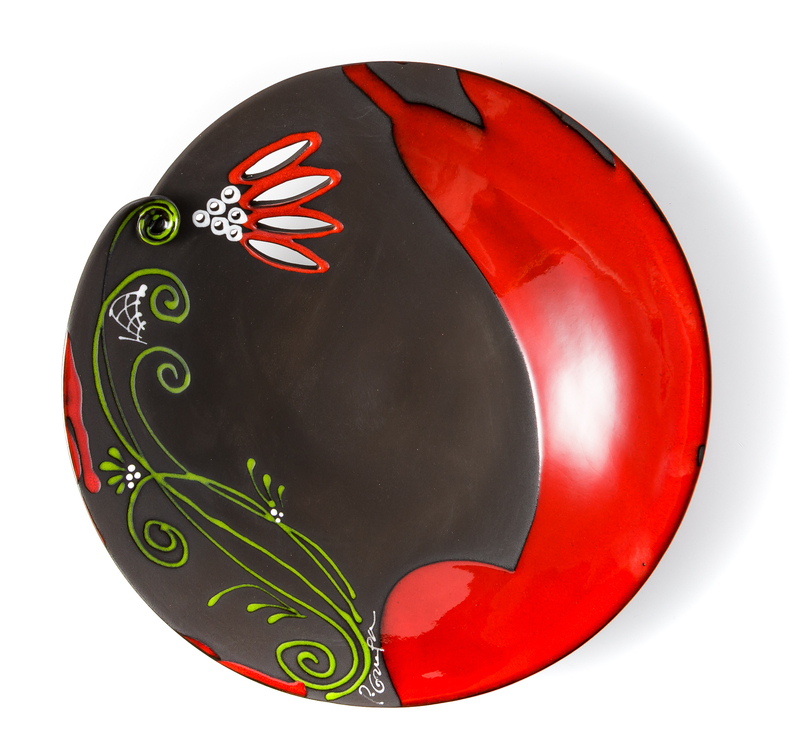 She then finishes her decorations with slip and polychrome enamels with fine brush and airbrush additions.